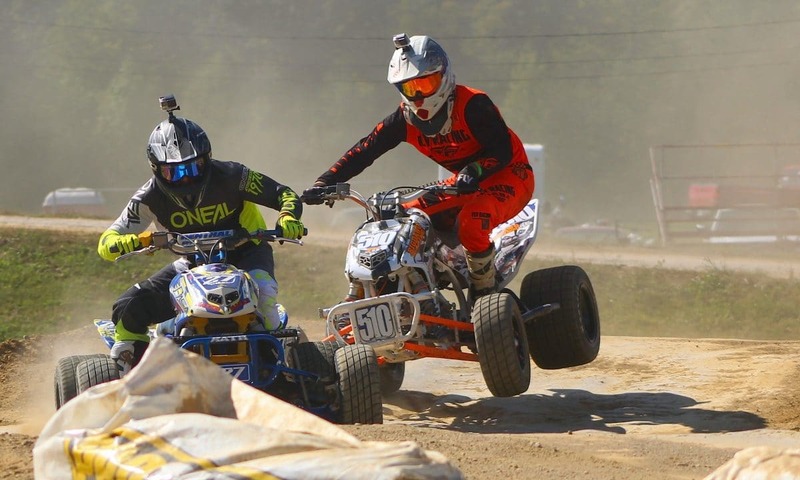 There were many riders out in full force for the final round of the National ATV TT races in Ashtabula, Ohio. 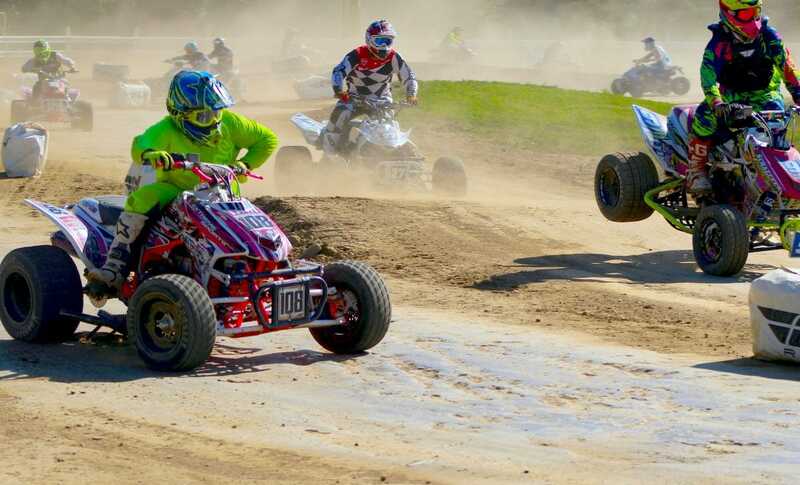 The action was very intense on September 15th & 16th at Pine Lake raceway. 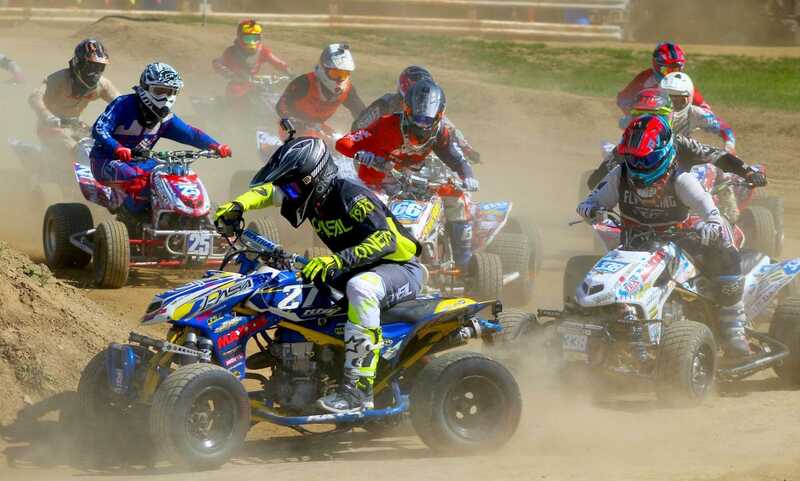 The Pro ATV class had an epic battle going on for top dog with Brad Riley #27 and his Honda 450R taking the win. This gave him the Championship Title for 2018. Here are the fastest guys when it comes to going sideways at speed on quads. 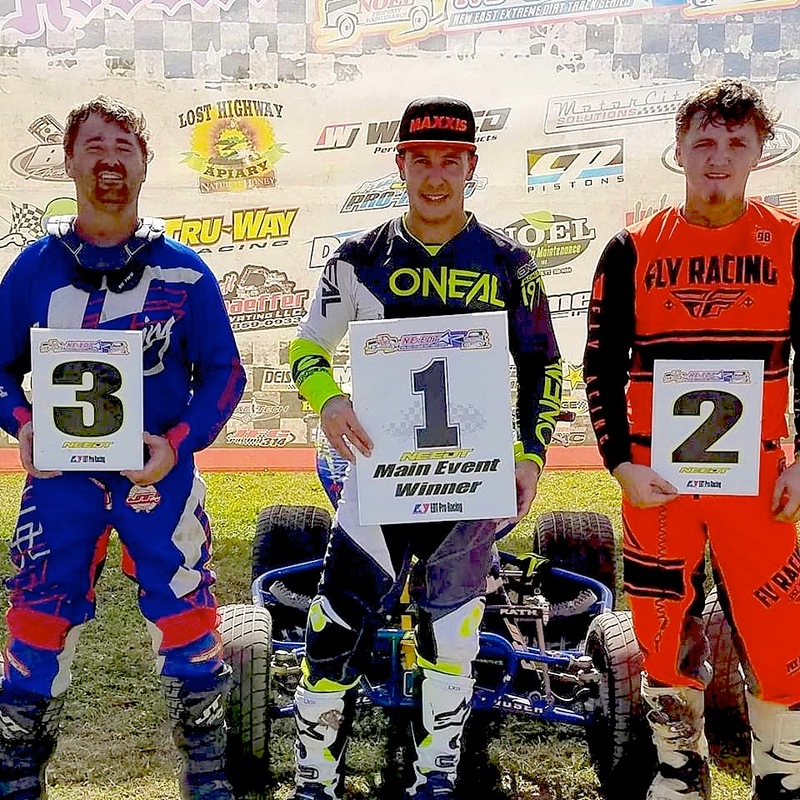 1st – Brad Riley, 2nd – C.J. 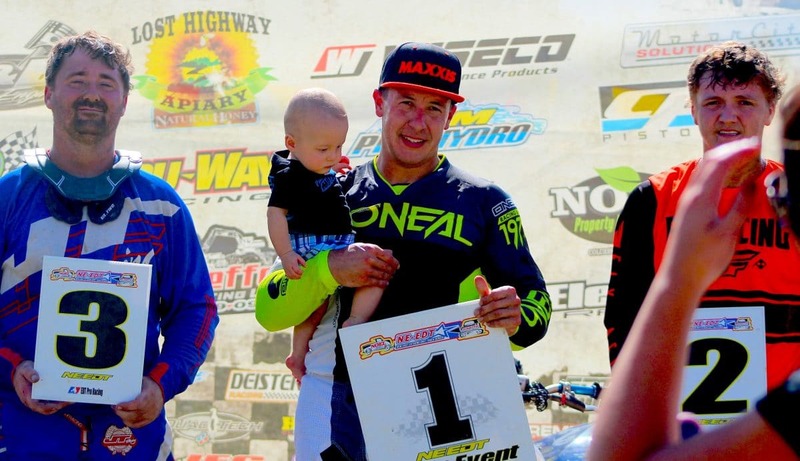 Robson, 3rd – Chuckie Creech. The 3-wheeler class has been growing over the years as more riders make the effort to restore these classic machines from the ’80s. Most have been much improved over the original versions. 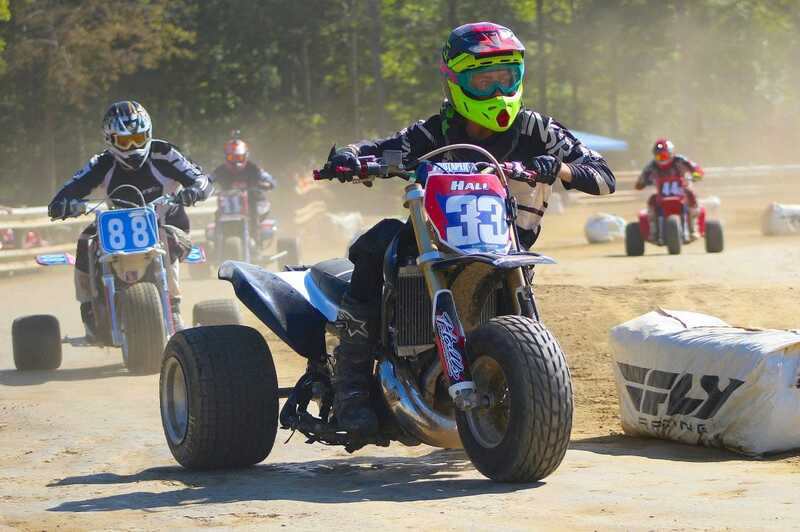 Jacob Hall #33 took the win in the 3-Wheeler Pro-Am Championship. 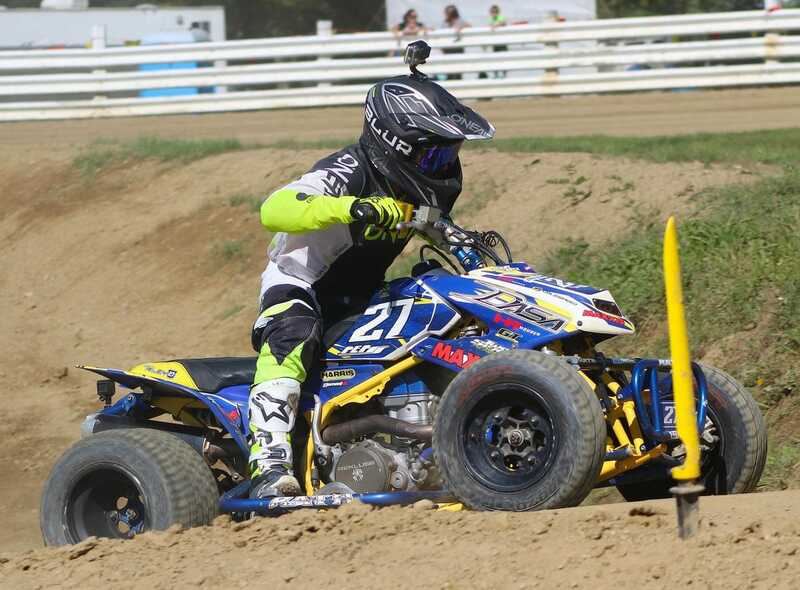 Brad Riley will be defending his title next year for the big 50th Year Anniversary of ATV Racing at Ashtabula. Yes, it was back in 1969 when the first races took place between Honda ATC90s and the Argo style 6-wheelers. Later quads joined the action and now there are UTVs too. Everyone thanks the Fischer family for providing Pine Lake Raceway for the big NEEDT event in 2019. Along with the pro classes there were amateur classes as well. Everyone was having a great time out on the track. Maybe you should join the fun for next season.